The baseball hot stove has been lit and going strong for quite some time now. A month removed from the World Series, teams are busily making lists of items they need to fill to have a shot at the 2014 World Series championship. In this list, I will cover some of the biggest news in the offseason so far that is sure to have long term impact on the team or teams involved. Jhonny Peralta became a mainstay as the Detroit Tigers starting shortstop right up until he was hit with a 50 game suspension for his involvement with performance enhancing drugs. 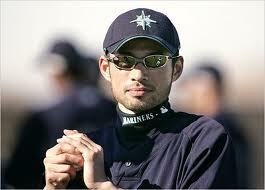 After his suspension, he mostly served in left field until he hit free agency. The Cardinals took a risk signing Peralta for a relatively long term deal, given his age. However, they sent a clear message that they were serious about upgrading the offensive power of the shortstop position, although it comes with a slight price. Peralta has had decent power numbers throughout his career. In the National League format, he will probably start at shortstop. Whether or not the move pays off for the Cardinals will be seen in due time. McCann brings a solid glove, an even more solid bat, and an overall sense of leadership to the New York Yankees. The Yankees sport a mix of veterans and rookies in their pitching staff, so expect McCann to be both the voice of support and guidance for the newer pitchers. One big concern about McCann is his injury history. However, if McCann remains healthy, he'll be a force both behind the plate and in the batter's box. One message the Yankees are sending to their fans is that while they'd love to sign Robinson Cano, the Yankees are not afraid to look elsewhere for help. Prince Fielder was a beloved figure in Detroit during the early stages of his contract. The Tigers, prone to throwing money at their problems, signed a huge deal with the slugging first baseman. However, a weak postseason turned him into a scapegoat for the scuffling Tigers in the postseason. The Tigers and Rangers swapped stars in a blockbuster trade to kick off the hot stove. Detroit showed its commitment to a strong pitching staff and the bat and health of Miguel Cabrera. Cabrera will probably see himself back at first base to kick off 2014. Detroit has also showed a commitment to improving the running game, with the speedy Austin Jackson, Torii Hunter, Jose Iglesias and newly minted Tiger Ian Kinsler. Some of the moves in this offseason have been rather surprising, and there's sure to be more surprising moves to come. Dave Dombrowski of the Detroit Tigers is never afraid to pull the trigger or to make a tough decision for the good of the team. 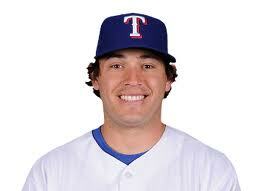 For that reason, I believe that the Ian Kinsler trade is the best move of the offseason so far.